I graduated from ETPA in Toulouse and ended up teaching there a few years later. After finishing my work there in 1992, I traveled to New York City to work as a fashion photographer for several magazines. A friend’s cousin, who was getting married in New York around that time, asked me if I was available for weddings. While photographing that event, I learned that it’s possible to take an artistic approach even while covering a wedding. My work instantly stood out because at the time, wedding photography primarily consisted of traditional elements like soft-focusing. I went in an entirely different direction by using a photojournalistic, or documentary-style, approach, which really made me stand out as a wedding photographer. Since then, I’ve worked on weddings in Dubai, weddings in Miami, Chinese weddings and other events around the world. When it comes to my photography style, words like “relaxed” and “spontaneous” come to mind. I strive to capture the unique atmosphere of any given event. David Friends, who was head photographer at Life Magazine, once described my style as unusual. My style incorporates creative, fashion and documentary portraiture elements. Put simply, I consider my photography style to be simple, elegant, fun, original, emotional and professional. Do you shoot other types of photography? Yes! I have more than 20 years of experience in many fields of photography. Through the years, I’ve worked in corporate photography, fine art photography, portrait photography and many other areas. All of these experiences have enhanced my capabilities as a wedding photographer. We’d love to meet with you, but we don’t live in Paris. Do you have any suggestions? I am hired by most couples without an in-person meeting. I’m able to answer most questions and figure out the majority of details via email. I’m also happy to discuss your event with you on the phone, and I’m available for Skype videoconferences. I’ve photographed Chinese weddings, weddings in Miami and weddings in Morocco, and I’m usually able to make the arrangements without an in-person meeting. No matter where you live, I’m sure we can find a time and method that works! Will you be able to take group photos and detail photos at my wedding? While photographing weddings, I primarily like to capture natural, relaxed moments. However, no wedding photography collection would be complete without group photos and detail shots, so I am happy to include them as well. I like to handle group photos quickly and calmly because it produces more natural photos and allows you to enjoy your special day. How many photos will you take during the event? I don’t place a limit on the number of photos I take. I simply take as many as needed. 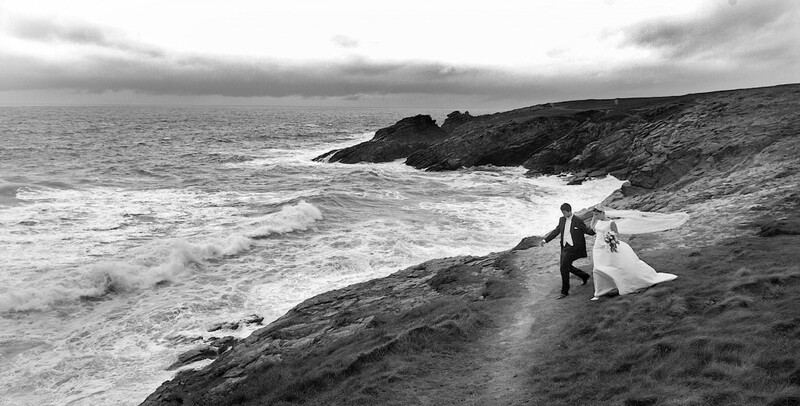 Factors like the size of your wedding, its location and the weather may affect the total number that is taken. Will we need more than one photographer? If your event has 200 guests or more, I recommend more than one photographer. After all, memorable moments can occur simultaneously in separate areas. A second photographer will also bring a different, unique perspective to the chronicling of your event. My fiancé doesn’t like having his picture taken. What can you do to make him more comfortable on our wedding day? I am very talented at blending into the scene, so attendees often don’t even realize their photos are being taken. My approach is calm and mellow, and I use a documentary style that will put everyone at ease quickly. You, your fiancé and everyone else can just act naturally. The only exceptions are group photos and creative portraits, but I will guide everyone through these to ensure exceptional results. How long will it take for us to receive our photographs? In most cases, DVDs containing the photos will arrive within about two weeks. Will our wedding guests be able to view or order our photographs? Yes! I will post your photos in a private online gallery, and you can provide your guests with a password, so they can view them and order prints. Who selects the photos that appear in the wedding album? You do! After all, I won’t know who you’d like to feature in the album. You are the best judge of that. However, I am happy to give you advice if you have trouble deciding. After all, there are usually so many incredible shots that narrowing them down can be difficult. How long does it take to make the album? After you’ve selected the images you want, I will design the layouts and email them to you as a PDF. You can then review them and make changes, if necessary. Once the design is finalized, it typically takes another four weeks for printing and binding. How do we book your services? We can initially discuss what you need via phone, email or Skype. From there, you need to complete the booking form and return it with a 30-percent booking fee/retainer. This is required due to high demand and very limited availability, and it guarantees your spot. I book all events on a first-come, first-served basis. How do we arrange your travel? After receiving your approval, I will book my own airfare and rental car. I will choose the most affordable and convenient option. As for hotel accommodations, I prefer for clients to reserve a room for me at the same hotel where the wedding guests will be staying.